Contact us if you want to play a large version of the to set up a the Scaventour™ Cryptic Murder Game, which can be done for up to 400 people (or as few as 4). Scroll down to see different variations of the game, including one that can be played at your location. Storyline: After trying to destroy the cryptocurrency markets, a foreign born NSA contractor has been murdered. An anonymous whistleblower provided clues that will allow your team to identify which of the suspects is the murderer. 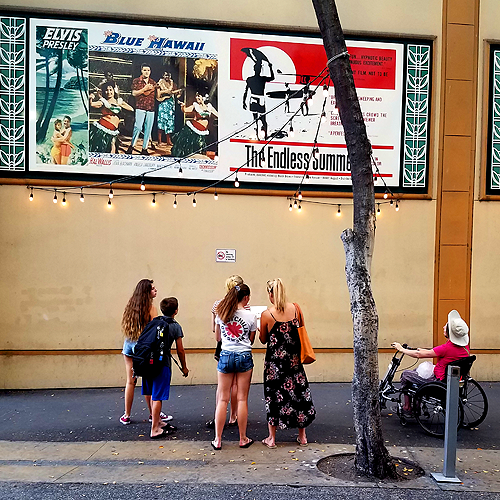 This Waikiki-based game is designed for team building with 4 person teams attempting to solve this mystery before time runs out. 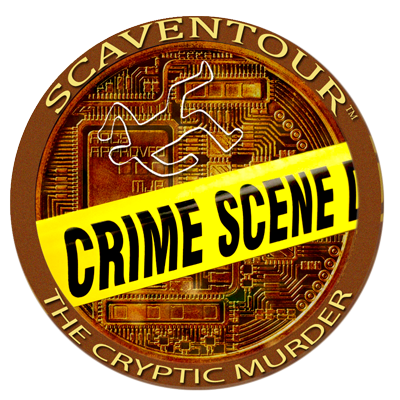 The Scaventour™ Cryptic Murder Game takes your group and splits them into up to 100 teams of 4 people in order to determine the Killerâ€™s identity (up to 600 people). The game can be played any time of day (between 9 AM and 9 PM) and generally lasts 2 hours. For larger groups, the game might take a little longer to complete. The setup for the game is that Natasha Dudko (from "Duke's Revenge") has been murdered. 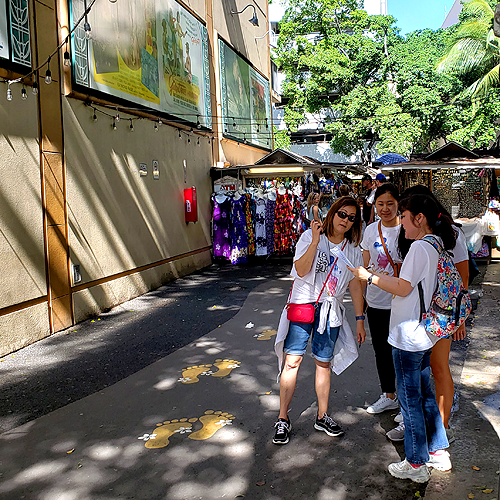 Each team will be given a packet of puzzles, a map, a list of suspects (with attributes such as name, how long they've known the victim, home town, phone number, etc. ), an instruction sheet, prescribed route, and a scoresheet. 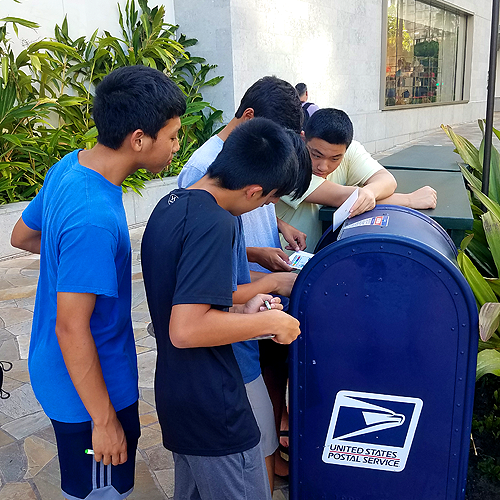 Throughout the 90 minute game, teams explore central Waikiki (generally from Beach Walk to Duke's Alley), walking around one mile in search of answers to their puzzles. Successfully solving a puzzle will give them a clue that will allow them to deduce which of the suspects is the killer. A correct answer will allow them to eliminate 1 or more of the 16 suspects. 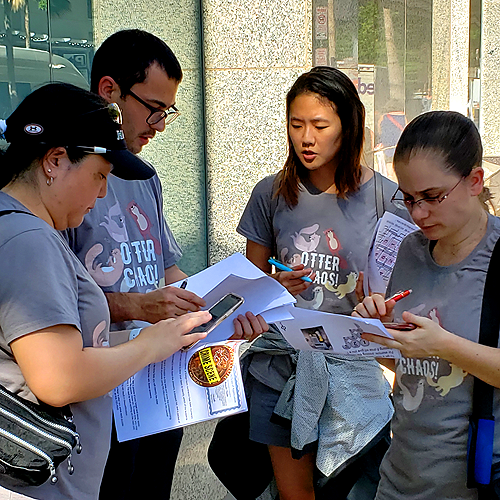 Answering all of 14 puzzles correctly will result in the team correctly deducing the Double Agentâ€™s identity - though it can be solved with as few as 9 correct answers. Teams will be scored on their ability to answer the puzzles correctly and to deduce the Killerâ€™s identity. Puzzles have varying degrees of difficulty (rated based on previous playerâ€™s performance), with some puzzles quite simple and some very challenging. 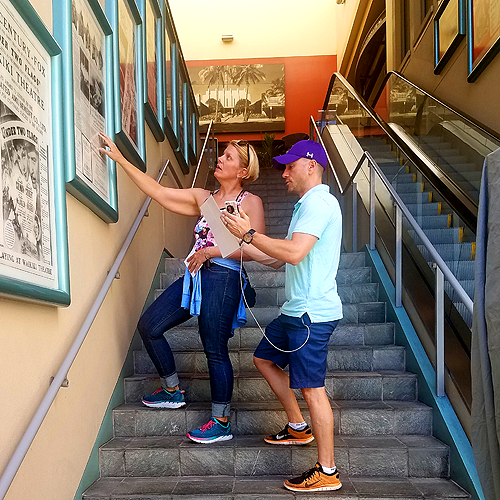 The game can also be made accessible for people who are in wheelchairs or do not have the ability to walk the full breadth of the course. 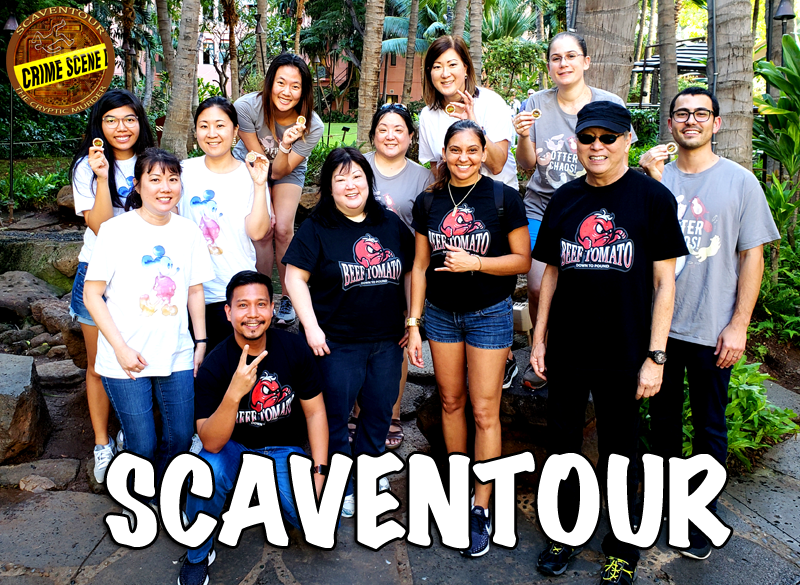 The Cryptic Murder game is great for Corporate Team Building or perhaps an event for a conference in Waikiki. Winners will get a coveted Scaventour poker chip. $29 per person. The group will be split into teams of 3-5 people per maximum per team. Minimum 4 players. Games with 4 or 5 people will only be 1 team working together. Optionally, we can set up this game at your location. 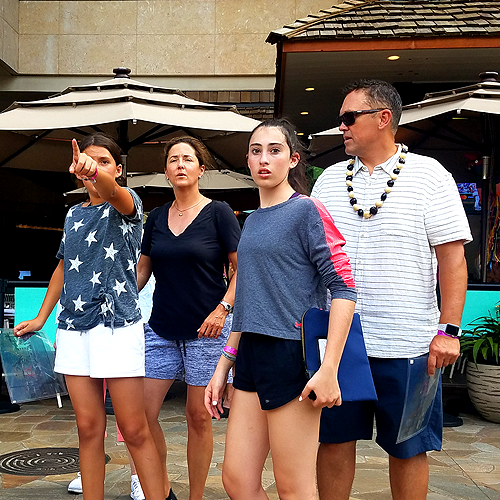 We have run the game at the Stadium Shopping Mall (where the Ice Palace is located) in Aiea, and have games for the Aulani Hotel and the Four Seasons. We can also run this game in any conference room, cafeteria, gymnasium, or even out on an open lawn, with our stand-alone game. That game has some optional features where the teams can be forced to collaborate with each other at various times during the game in order to earn bonuses.